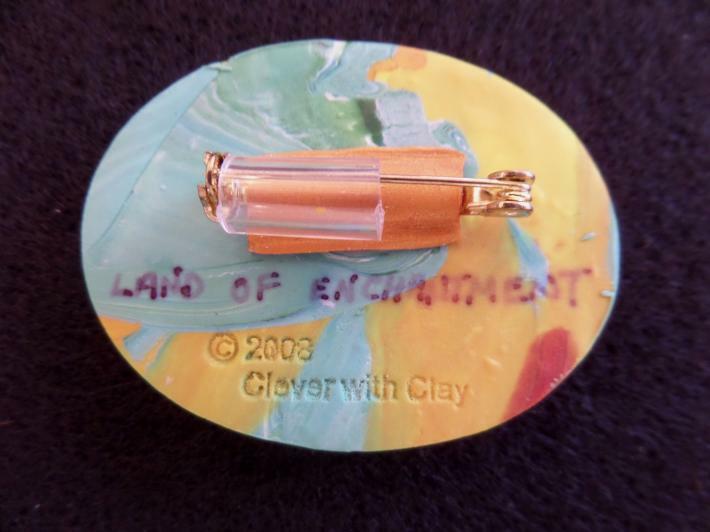 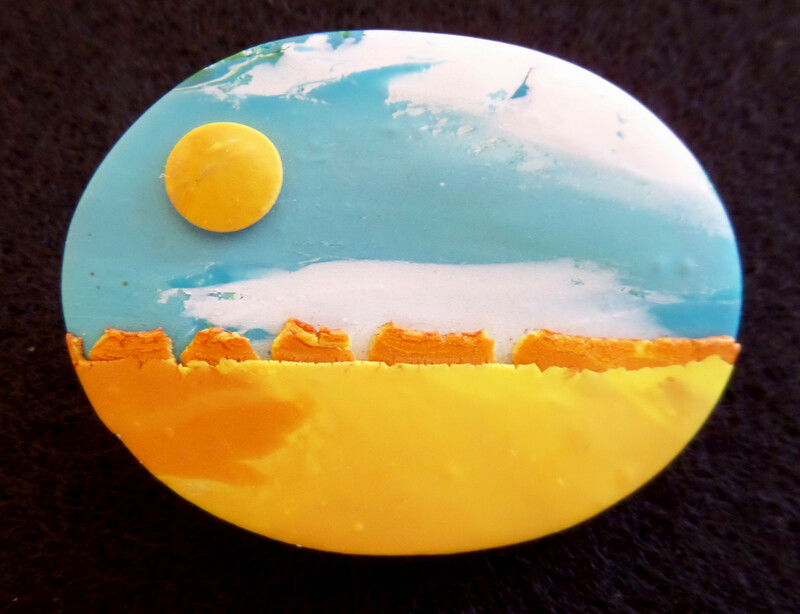 "Land of Enchantment Combination Pin/Pendant" is fitted with a locking bar pin, but also comes with a plastic sleeve, so that the pin can be converted to a pendant, doubling your pleasure! 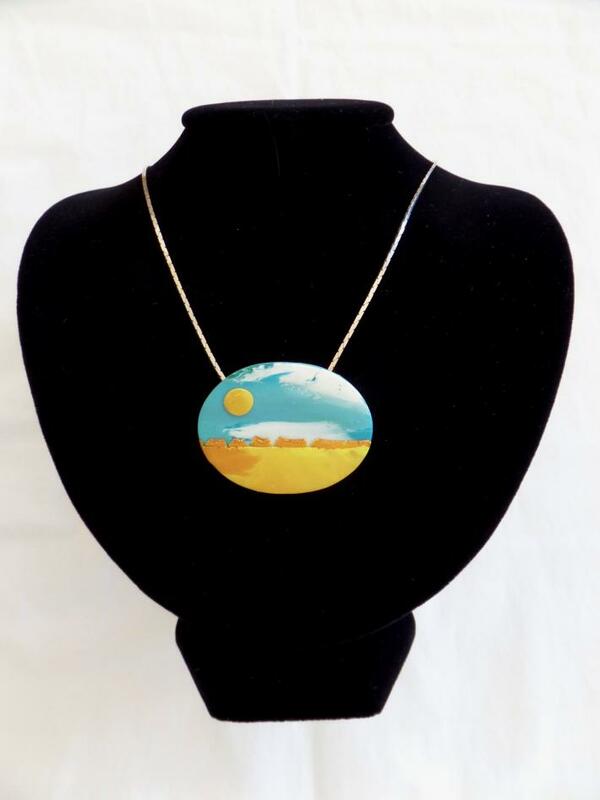 Each piece is given a distinctive name, and this one is part of my series entitled "Mesa Series", which reflects my interpretation of the geology and landscape of the American Southwest. 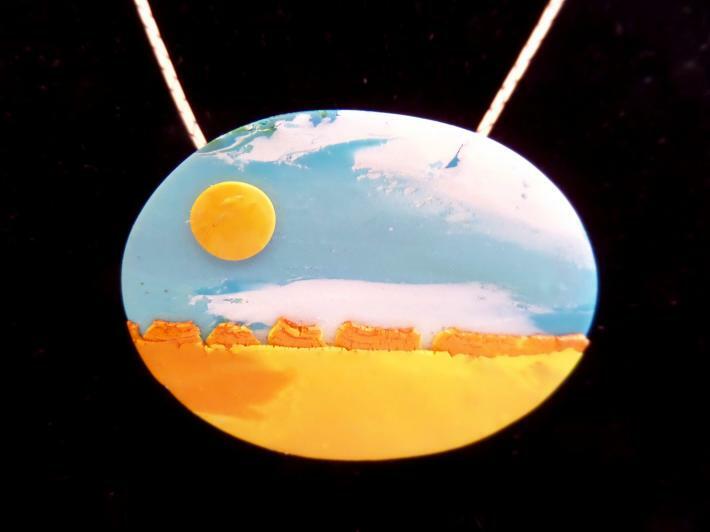 This represents New Mexico, known as "The Land of Enchantment".